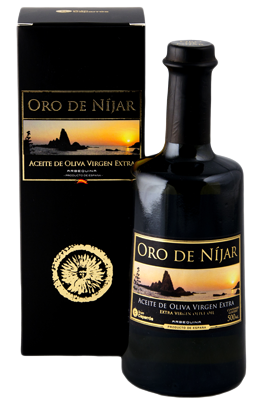 The Extra Virgin Olive Oil Oro de Níjar is presented in selected bottles of dark glass to preserve the high quality of the product and protect it from the rays of light color. It shows in individual cases that enhance its high quality image. 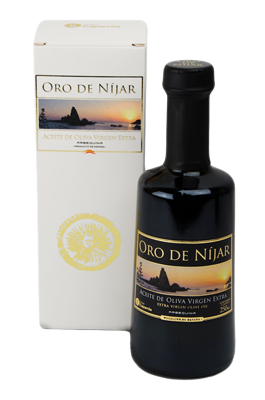 The Extra Virgin Olive Oil ORO DE NIJAR is commercialized in 2 formats: 500 ml and 250 ml, ideal packaging for the hostelry consumption and the final consumer.